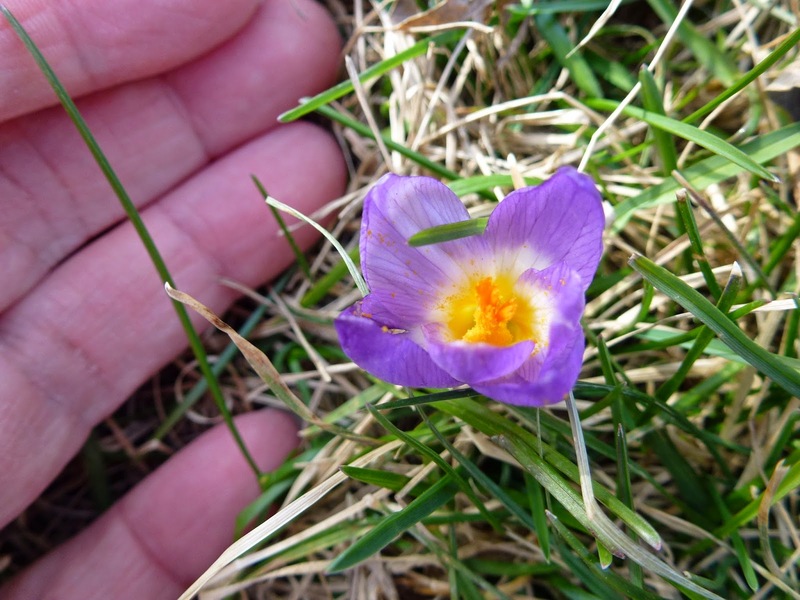 This one little crocus is blooming among the lawn in our backyard. 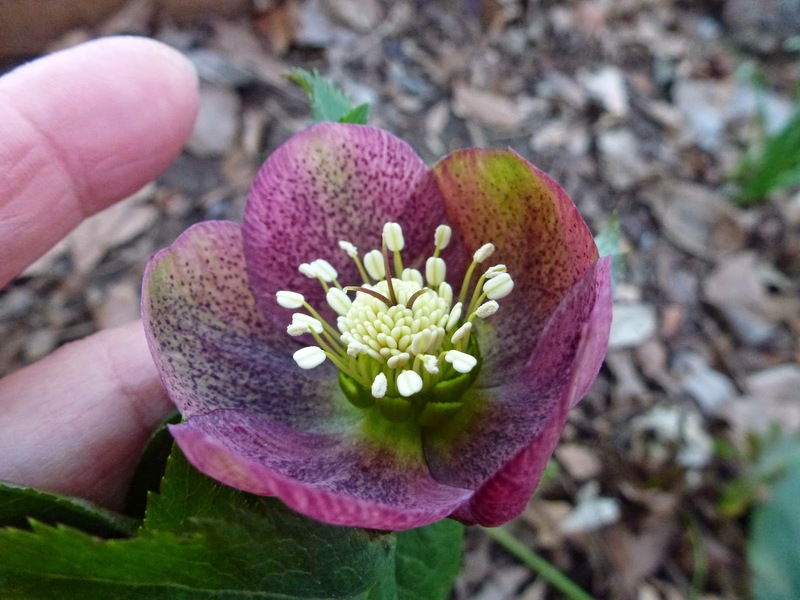 And we have just a couple of helleborus blooming. 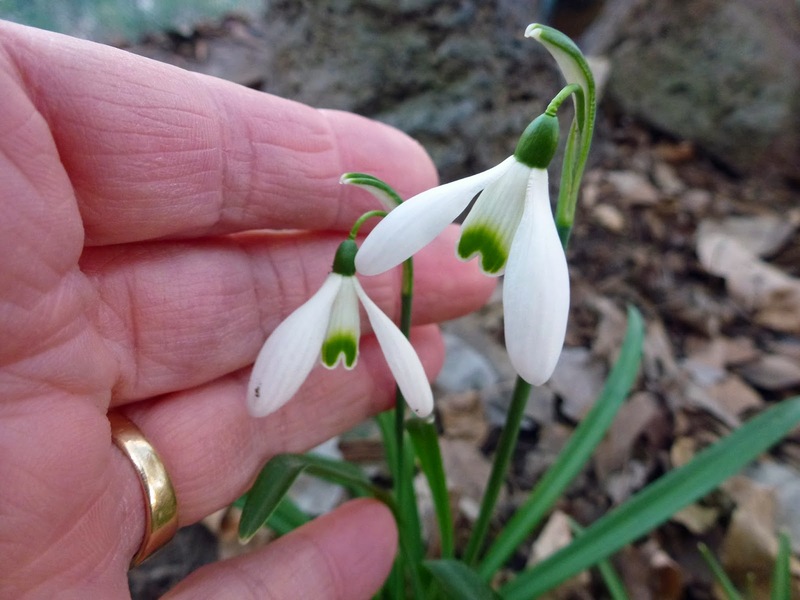 A few snow drops are still lighting up the shade garden. 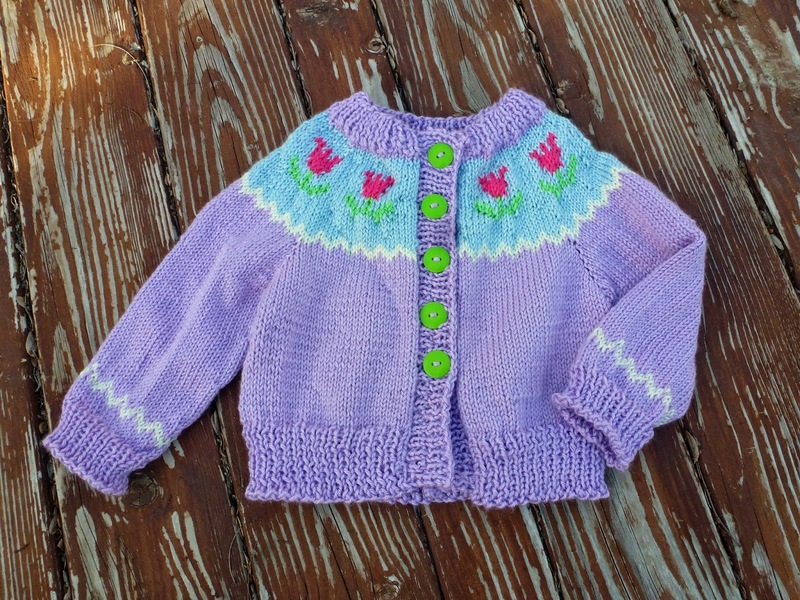 And just in time for spring I finished this little sweater for my granddaughter. Yay! I'm so glad you're seeing signs of spring, Victoria. And that sweater is so cute! You have so many talents.